Established in 1987, FASTCUT Machinery Co., Ltd. is the company of specializing in producing kinds of CNC lathe machines. Main products of FASTCUT includes 2 in 1 CNC lathe, combo lathe, both end cutting lathe, polygon machine, and twin spindle CNC lathe etc. Today, I will simply introduce a both end cutting lathe to you. That is FC-TF10 / TP10 center spindle CNC lathe. With single spindle, two turrets, twin CNC system two turrets can operate simultaneously and carry out different cutting process on both ends. Its shaft, rod or tubes both ends cutting (O.D. & I.D.) are carried out simultaneously to obtain very high concentricity and benefit. Furthermore, its special auto loading & unloading system can be fitted to handle workpiece with unsymmetrical or special-shaped on ends. By the way, special spindle can be ordered for special job requirements. As the reliable both end cutting lathe manufacturer, FASTCUT always insists to offer the best quality CNC lathes to clients. They show that “It’s our deep honor to provide customers high quality and efficacy”. 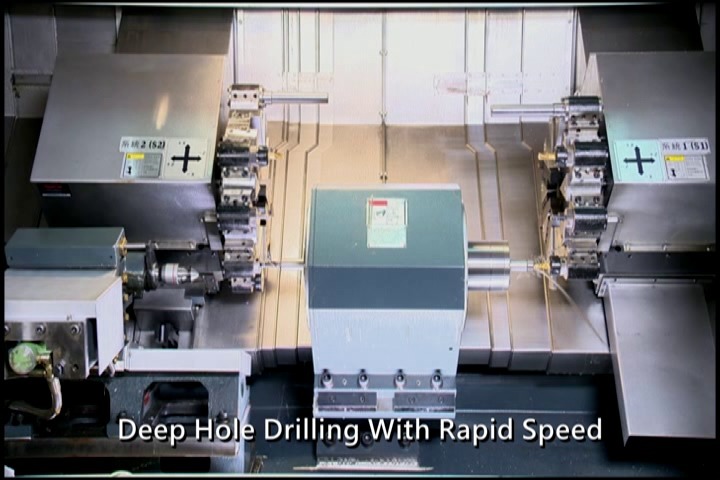 For more information about lathe machines, please don’t hesitate to check out the website of FASTCUT, you’ll find the ideal machinery you need.